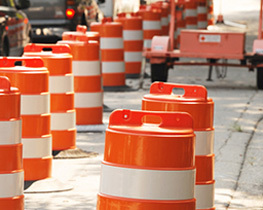 We are an FDOT approved Temporary Traffic Control Certification Provider! Ask about our special pricing for training at your place! What’s Temporary Traffic Control Certification (TTC)? Basically, TTC means “work zone traffic control”. In the most practical terms, TTC ensures workers and the public can avoid injury. Obviously, it requires planning, design, supervision, implementation and maintenance of various work zone traffic control devices. Consequently, workers must obtain training and certification. Undeniably, if you’re responsible for setting up, maintaining, and supervising workzone operations you must take and pass the Intermediate TTC certification course. What’s more, to get a permit for any job near the roadway officials will definitively want to see your TTC credentials. Furthermore, you’re also required to have a traffic control plan as well. 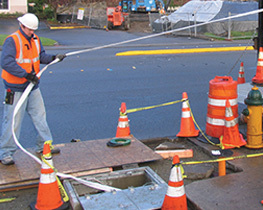 Additionally, FDOT Inspectors or building officials can stop to inspect your job at any time. Consequently, non-complaint jobs risk closure until the TTC issues are correct. Without a doubt, employers using workzone workers without certifications will be subject to serious liability. Why spend two days in class when you can renew in one eight hour session? Save time and money! Our 8 hour renewal class provides re-certification for persons whose 4 year certificates are about to expire (Proof of current certification required). Need to train 10 or more? Let us send an instructor to you!